In this follow-up to the weekend’s bailin process adoption posts, The Slog fills in the remaining pieces of the jigsaw. You may think you are a member of a Democratic European Union. You are not. There are many easy ways to hide from the EU Parliament: bundling a Delegated Regulation Supplement into a larger package (eg, on banking union); or the meeting of an EC committee followed by “no response” from MEPs are just two…the RRM is another. All have the force of Law. Follow the timeline, observe the press statements, read the speeches….and make your own minds up. Let me at the outset pay tribute to two folks here. First, my longstanding Brussels mole who has gone more than the extra mile here to point me in the right direction; and the indefatigable Anna Raccoon (great post today by the way) mistress of the art of deconstructing obfuscation. There is certainly no call at all for any tribute to the EU’s own press officers and bureaucrats. It’s obvious there is at least some degree of deliberate obfuscation going on as regards the Bailin Law question. There is, for example, no clear line of responsibility between Olli Rehn (Economic & Monetary Affairs) & Michael Barnier (European markets). All their press officers – and the EU Parliament’s press office – are on holiday now until 23rd August. And since 19th July until 26th August, the MEPs are in recess. All of which presents a question I’ve been badgering the Brussels Mole with since yesterday afternoon: how can a bailin law have passed if the EU Parliament is as usual out to lunch enjoying annual holidays? To which the answer is: because many instruments in the EU do not need democratic approval. Hold that thought, and then follow this timeline. The story starts in Michel Barnier’s manor after Cyprus. Quizzed by MEPs on 27th May this year, his inquisitors formally recorded their view that his answers were “unsatisfactory and evasive”. But behind the scenes, the one-off that was a template and then an untemplate was being hastily turned into a proposal. This is where one or more EC committees recommend something full of caveats to see if anyone will notice. In typical EC style, it outlined four options ranging from bromide to draconian. EC proposals always put the thing they want to do last. The Council’s compromise approach provides flexibility to national resolution authorities, subject to strict criteria and only in exceptional cases, to exclude liabilities and to use the resolution fund to absorb losses or recapitalise an institution. However, such flexibility would only be available after a minimum level of losses equal to 8% of total liabilities including own funds has been imposed on an institution’s shareholders and creditors, or under special circumstances 20% of an institution’s risk-weighted assets‘. This is classic EC/ECB doublespeak: we will be flexible, but only after we’ve cleaned you out, dear customer: 8% of a bank’s liabilities (by the EU’s own liquidity rules alone) in a full-on bank collapse would be more than enough to wipe out ‘shareholders and creditors’ – which as of May, by some Divine Right of Banks, has been taken to mean us. In EUspeak, ‘exceptional’ and ‘special’ both mean the same thing: ‘inevitable’. ‘In accordance with voting procedure on a Commission proposal, the qualified majority rule applies. If the vote is favourable (which is the case for the vast majority) The European Parliament and The Council of the European Union have 3 months to oppose the adoption of the draft Regulation by the Commission. If the European Parliament and the Council give their favourable opinion on the adoption or the 3 months elapsed without opposition from their side, the Commission adopts the draft Regulation. After adoption, it is published in the Official Journal and enters into force on the day laid down in the Regulation itself. The first draft of the Barnier proposal was circulated on Friday May 3rd. The three months were up nine days ago. A draft resolution becomes law under this procedure when the regulation says so. This is the main contention of my source: he merely showed me where to look, thus saving me about a week’s work. But he also suggested other ways they could trump any MEP objections. So I went to the EUParl press office site at the crack of sparrow this morning. And guess what? They’re all on holiday until August 23rd. There’s an emergency office phone with one bloke on call. It rang out, with no message service. But eventually I tracked down the bloke – Vaclav Lebeda – on his mobile. He was very helpful. And his input suggested yet another way in which such a regulation could become Law immediately. Mr Lebeda said no, nothing had passed through the EUParl before the holidays….it (OBR procedure) is still due to be debated in the Autumn, with a view to becoming Law in 2014. He didn’t know what Mario Draghi meant by constructive cooperation between the Parliament and the Commission/Council. He didn’t seem evasive: he obviously just didn’t know. 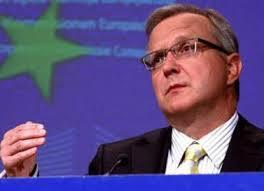 “So if the Spanish banking system collapsed tomorrow, what would the EC and ECB do?” I asked Vaclav. There was that ‘exceptional’ word again. So I asked had there been any EAMAC meetings since the recess? He didn’t know, because (he very fairly pointed out) he was at the EUParl press office, not the EC or EAMAC office. And of course, they’re all on holiday too. The European Council Regulation (EC) No 381/2001 of 26 February 2001 created a rapid-reaction mechanism, to be used in those ‘exceptional’ circumstances where ‘the action is immediate and cannot be launched within a reasonable time-limit under the existing legal instruments‘. Basically, it’s an Emergency Powers Act by any other name. “There are a thousand ways to ignore the EU Parliament. My information is that with some Parliamentary complicity, the proposal is in place as a regulation under the 3-month rule. But anyway, they could use the RRM, or they could just do it anyway – for example, Draghi at the second Greek bailout, or the Cyprus fiasco. I can only tell you what I know: on this issue, the full backing of European Law is already in place to conduct an Open Bank Reconciliation (bailin) where they could choose to do anything”. The caveats in the proposal suggest they would indeed do anything to save the banks and the euro. Let’s see what further evidence – in the blogosphere or the MSM – can be dug up to add further support….to what looks pretty solidly to me like a done deal. I’m off to pick some fruit.